Jode Designs: DIY Day.. 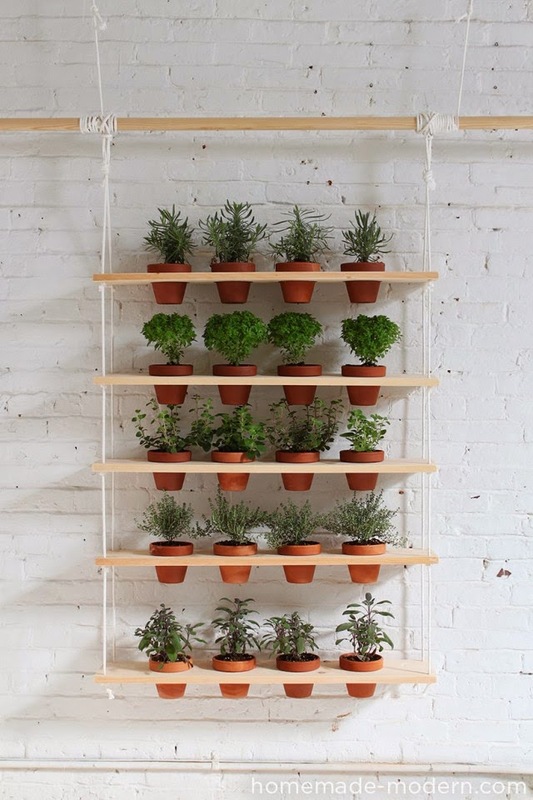 Create a Vertical Garden..
DIY Day.. 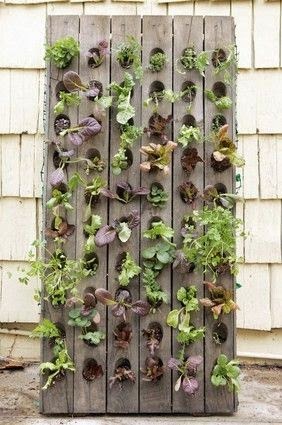 Create a Vertical Garden.. I love vertical gardens. 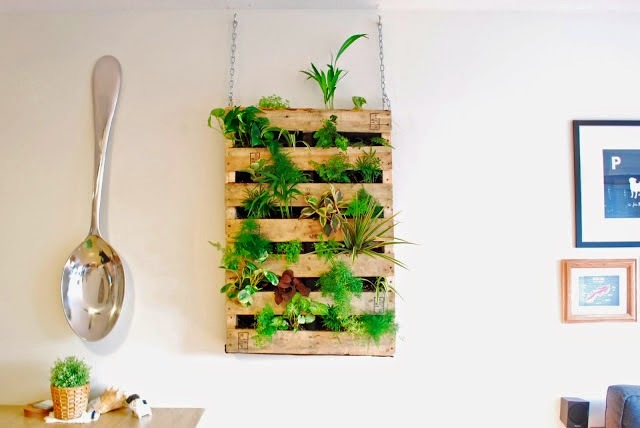 They not help grow plants the easy way, but they look so stylish and add so much colour to the walls.. I am a hopeless gardener (much to my parents dismay) so I purchased this vertical garden kit from V-garden at the start of the year and my herbs are doing quite well (much to my hubby's surprise).. 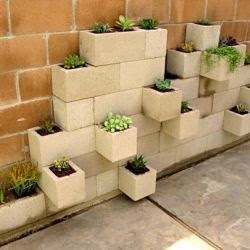 But if you are good at gardening an want to create a vertical garden of your own.. Why not try some of these great ideas.. 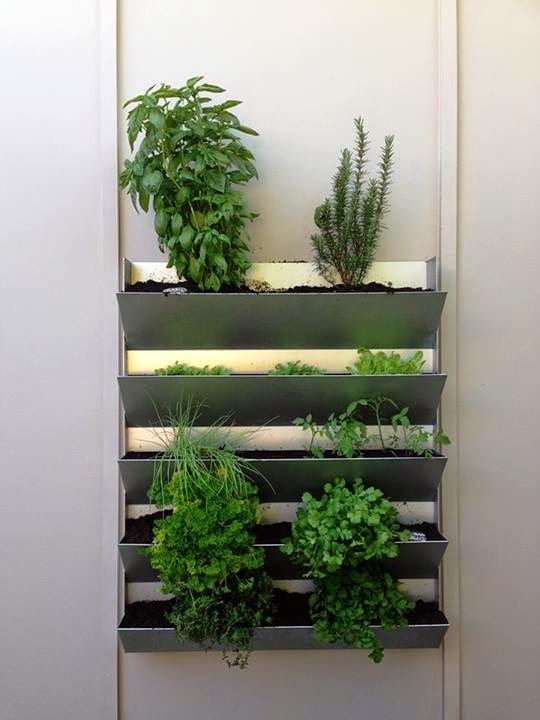 This vertical garden would look beautiful inside or outside of the home.. Perfect for the pokey cornered areas which are hard to style.. 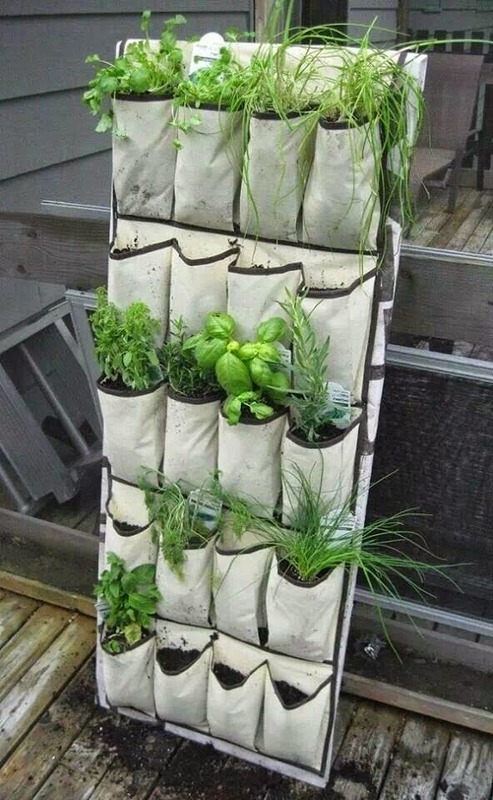 Using a shoe holder is a cheap alternative and is great for drainage.. Light to hang and once the plants grown they will hide the fabric casing.. 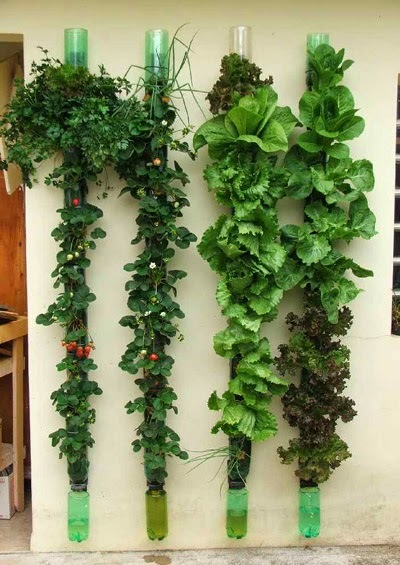 These portable vertical gardens are great for small gardens or for rental properties.. 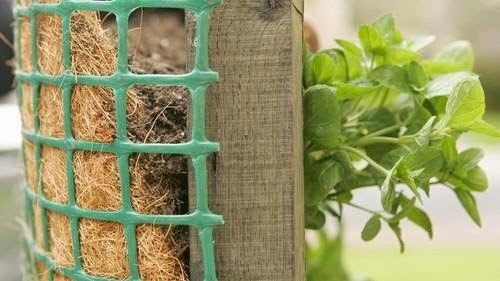 This one is made out of timber slats, cut the holes, then create a barrier on the back with plastic wire and straw (hessian coffee bags would be good too).. build a stand for it or just lean it against a wall.. 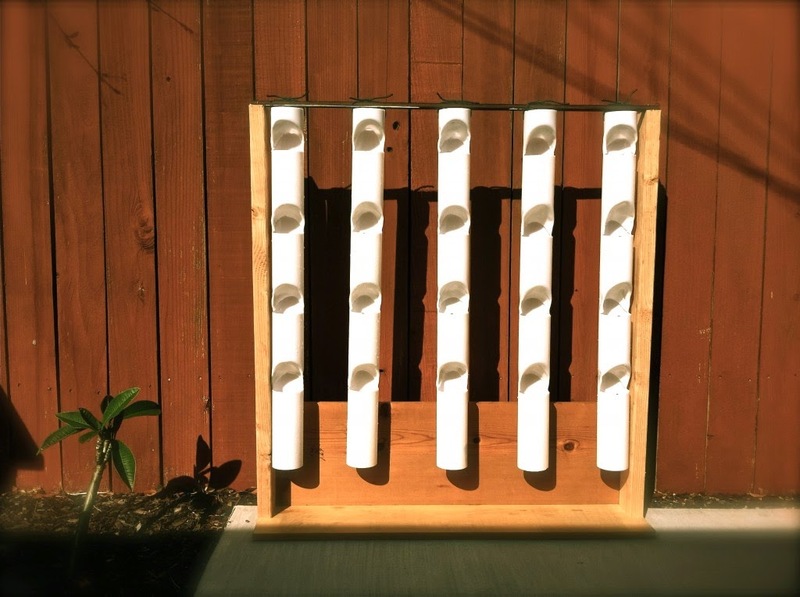 This is is made from plywood.. attach plastic bottles with tops cut (and put some holes in the bottom for drainage) put in a vertical line.. Again once the plants grow they will hide the bottles..
Cinderblocks (or you may know them as bessa-blocks) are very cheap and you can build this vertical garden to suit the area.. Perfect for a wall you want to hide..
Use an old chest of drawers.. pull the drawers half out and plant away.. Great way to add some colour to the backyard too.. I really love this idea.. 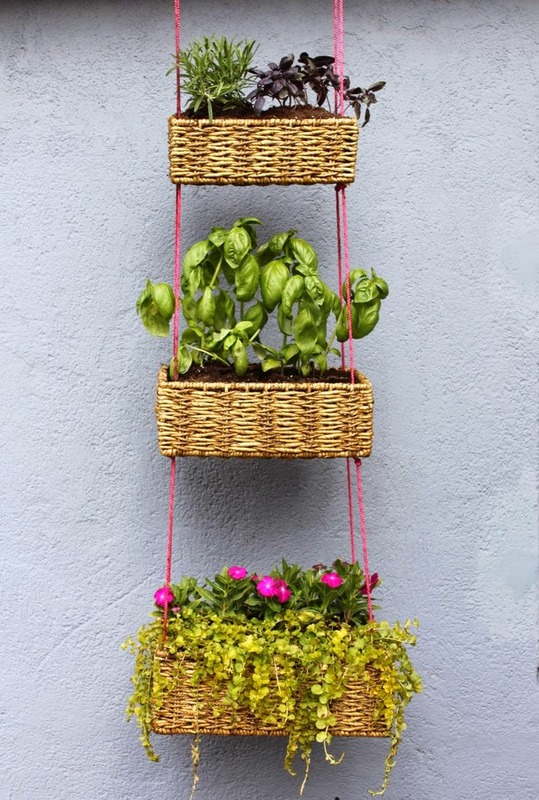 It would look so gorgeous in a kitchen, laundry or entry hallway.. You could mix it up by using glass jars or coloured pots too..
Baskets are great for drainage so why not hang a few together with rope.. Use different sizes or all the same.. 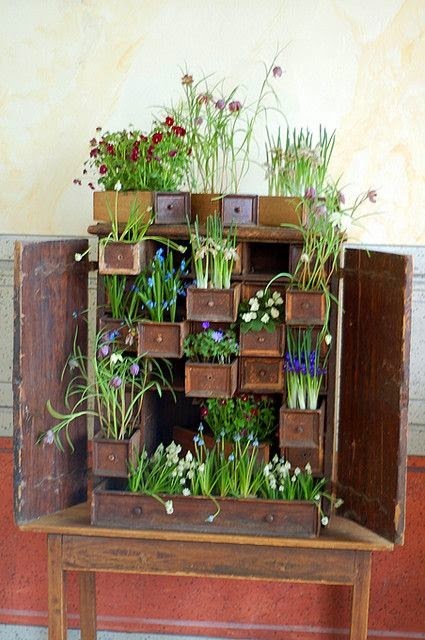 Wooden crates or boxes would look great too.. The trusty old pallet.. so popular right now.. an in-expensive alternative and again perfect for drainage.. You could mix it up by staining it or painting it to add colour.. or just leave it natural.. Use one on its own or gather a few side by side depending on your size area..
And since I am a plumbers wife.. 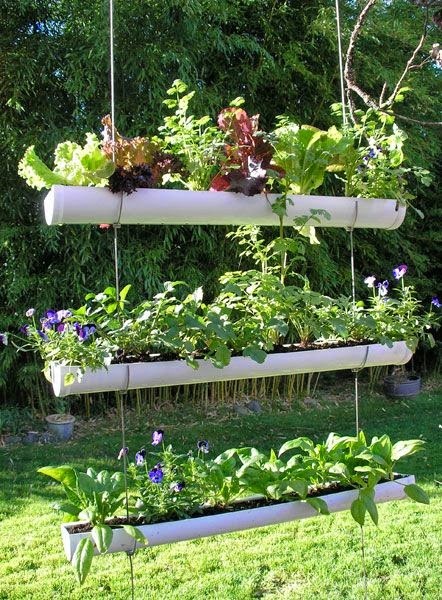 I must show you a vertical garden made from PVC pipe or metal guttering!! You can run them horizontal or vertical depending on your wall size..
Celebrity Style.. Ginnifer Goodwin's Apartment..
DIY Day - Style the TV on the wall..